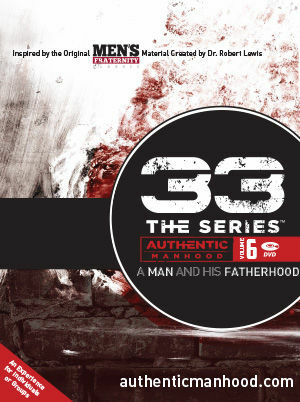 33 The Series: A Man and His Design is a 6 session Bible study that builds upon many of the timeless truths taught by Robert Lewis in the original Men's Fraternity curriculum but also includes new material on authentic manhood. The series is designed to inspire and equip men to pursue authentic manhood as modeled by Jesus Christ in His 33 years on earth. 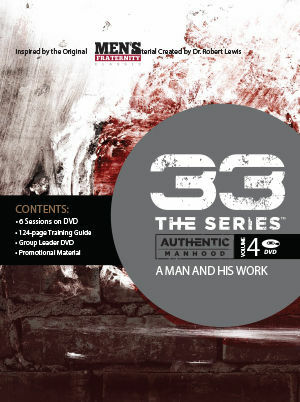 Volume I contains six sessions that explore the basic foundations of authentic manhood and God's clear design for men. This first volume of 33 starts with meaningful insights into the current state of manhood, which will help men navigate through some realities that have created cultural confusion. It follows by unfolding God's mandates for all men and offering a clear definition of authentic manhood that will help men on their journey. Each participant will learn the four "faces" of manhood and how to anticipate and transition through the specific seasons of life. 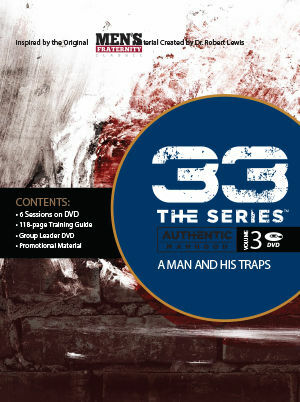 Please Note: Each man participating in this study will need a 33 The Series Volume 1 Training Guide. Navigate right to the product on www.authenticmanhood.com by clicking the orange Books, Workbooks and Handouts button above. Viewing a session without a training guide is not recommended. Being a dad is one of the most important and influential roles a man could ever play in his life. But being a good dad doesn't always come naturally. That's what this volume of 33 The Series is all about … setting you up to win as a dad. All six sessions are designed to help dads think strategically about how they play out their important role. It equips you with insights that will help guide you through key decisions and the great challenges of being dad. There are many important relationships in a man's life, and none deserve more care, focus, and investment than his relationship with his wife. A Man's marriage is meant to be and can be an incredible source of energy, joy, and intimacy. Whether your marriage feels hopeless and numb or is thriving and exciting, this volume of 33 The Series is for you because it looks at what God says about the whole thing. It lays out an inspiring picture of God's vision for marriage that will change everything if you're “stuck” and will encourage you if you're already thriving. 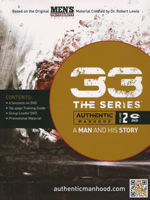 33 The Series: A man and His Design challenges and equips men to go below the surface, to look deep into their hearts and explore some areas that are all too easy to ignore but that are critical in their journey toward Authentic Manhood. It introduces a framework and a process that will help men understand what lies behind the manhood traps and beneath the heart idols that can distract them from the truth and the power of the Gospel. Then it unfolds a biblical battle plan that helps men replace specific temptations and struggles with God's better promises. It deals head-on with issues that all of us as men can relate to like sexual lust, the need for control, unfounded fear and the pursuit of significance. Work and career play a major role in the life of every man. This volume of 33 The Series begins by recognizing the obstacles and tensions that men can experience in their work-lives and then unfolds a process that helps men move beyond the conventional perspective of work that can lead to dead ends and frustration. It leads them to a bigger, biblical vision of work that goes back to God's original intentions. A Journey To Authentic Manhood As Modeled By Jesus In His 33 Years On Earth. Every man's life tells a "story." In the pursuit of Authentic Manhood, every man must understand and come to grips with the defining moments and key relationships that have shaped his unique "story." 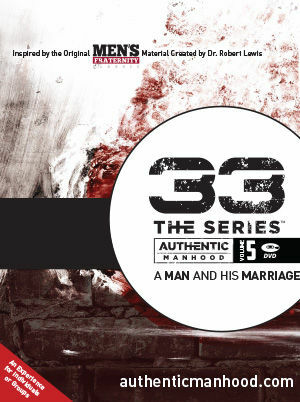 This volume of 33 The Series provides men with biblical perspective of their "story." It equips them to embrace how their past has affected their present and prepares them to deal with whatever the future may hold. In a Man and His Story, both experts and regular guys will help men learn from their past, come alive in their present and enjoy God's best in the future. Please Note: Each man participating in this study will need a 33 The Series Volume 2 Training Guide. Navigate right to the product on www.authenticmanhood.com by clicking the orange Books, Workbooks and Handouts button above. Viewing a session without a training guide is not recommended.